: Eligibility certificate from in the case of students coming from other University Board. The eligibility Certificate shall be obtained from Dr. Babasaheb Ambedkar Marathwada University only after production of Migration Certificate of previous University before the end of 1st term. As per University ordinance student who has not produced his final eligibility certificate before the end of 1st term, will be granted that term. Student will also not be allowed to appear University Examination without production of eligibility certificate. 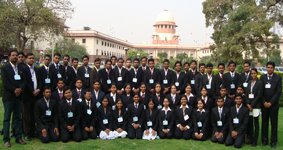 Students seeking admission to LL.B. I shall apply in their own handwriting in the prescribed from. Application must be complete in all respect. Incomplete application shall not be accepted. Application must be submitted along with all relevant documents as per detail shown below. b) Certified true copy of Mark Memo of last qualified passed. c) Form of Eligibility Certificate in case these students who are migrating from other University along with Migration Certificate Original Mark Memo. d) A Letter of authority from those who are in service. f) Affidavit of U.G.C. regulation for curbing to menace of ragging. Two statements (a) by parent (b) by student. Student Seeking admission to LL.B. (Old Course) shall apply in their own handwriting in the prescribed form. Applications must be complete in all respect. Incomplete application shall be rejected. Applications must be obtained along with all relevant document as per details shown below. b) College Transfer Certificate in Original (T.C.) + Two certified Xerox copies. c) Form of Eligibility Certificate to be obtained from the Dr. Babasaheb Ambedkar Marathwada University. 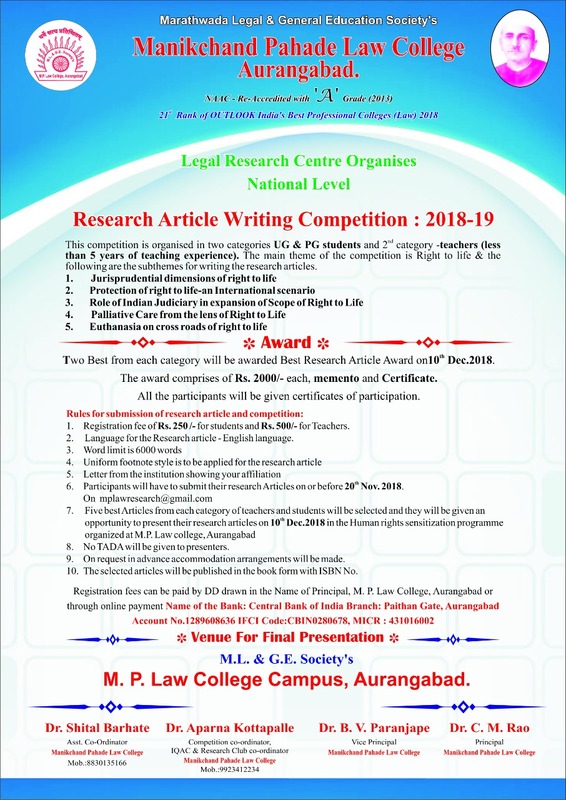 e) An application for free studentship with Income Certificate in the case of Economically Backward class students or prescribed forms for scholarship / free ship holders.